The New York City Mayoral Primary Is September 10. Where Do the Candidates Stand on Sustainability? This week’s news has put the New York City mayoral race on the forefront of national media again, and both parties have several viable candidates (and some notable independents are in the race as well). Primary day is September 10, just a few weeks from now. Finally, it is encouraging that the CitiBike program has gotten off to such a strong start this year, and that New York City has a wide network of bicycle lanes. These developments are crucial elements of the PlaNYC platform on transportation. (Link opens a PDF.) That said, rare are the lanes that are not regularly abused by trucks and automobiles double-parking. What steps do the candidates propose to enforce and protect the existing bike lanes? This entry was posted in policy, sustainability on July 25, 2013 by Carl Zimring. 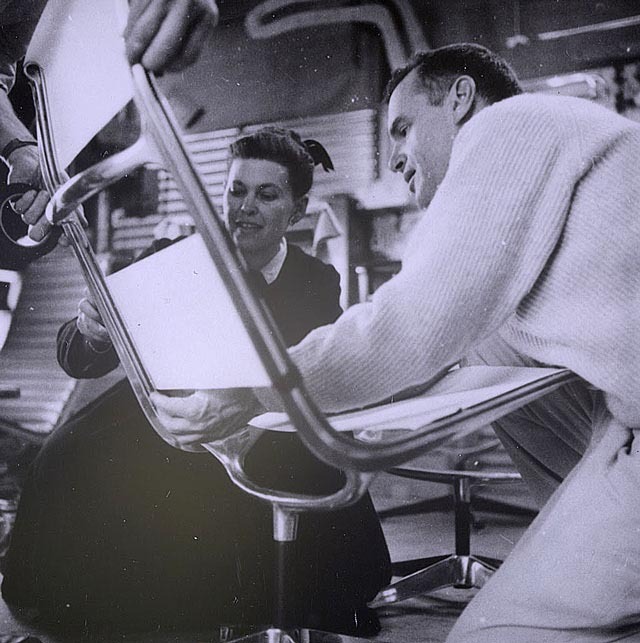 Ray and Charles Eames design an aluminum chair. Part of my talk for SHOT scheduled for this October. The Society for the History of Technology (SHOT) has released the preliminary schedule for the October 2013 meeting in Portland, Maine. (Link opens PDF.) I am scheduled to be part of the “Salvage: Reuse and Repurposing in the History of Technology ” panel Friday morning, discussing the history of upcycling in general and the example of aluminum reuse in particular. Thanks to Hanna Rose Shell for organizing the panel, and for getting Finn Arne Jørgensen, David Luckso, and myself on board as presenters with her. About thirteen years ago, a group of SHOT members established a special interest group within the society called Envirotech in order to discuss the relationships between technology and the environment over time. This panel is but one of many that are relevant to Envirotech discussions, including ones on risk perception, public health, food sciences, resource geopolitics, and more. Envirotech regularly meets and organizes panels for SHOT and the American Society for Environmental History (ASEH) meetings, and they invariably produce engaging, interdisciplinary discussions. I look forward to this fall’s talks, lamenting only those that I invariably cannot attend due to schedule conflicts. For more information on SHOT, visit the society’s website. For news on the Envirotech group and its members, see the blog on its website. The 2013 SHOT meeting will be held October 10-13 in Portland, Maine. This entry was posted in events, history, recycling on July 15, 2013 by Carl Zimring. The sticky hot summer seems like it will never end, but the fall semester is just around the corner at Pratt, and a few spaces are available in the two sustainability seminars we’re offering. When these courses were originally added to the schedule, they were, respectively, a special topics course and a provisional course. Now that the Institute has approved them as permanent additions to the undergraduate catalog, we have raised the enrollment caps in each. Each of these courses may count as a Social Science or Philosophy elective, SUST 201 is required for the new Sustainability Studies minor, SUST 405 is an elective for the minor, and there are no prerequisites for either course. 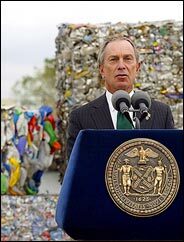 I am also leading a team of Pratt Institute faculty teaching the third offering of SUST 201-01 The Sustainable Core. This course is designed as our introduction to sustainability and is an excellent way to get familiar with the many ways sustainability is practiced at Pratt. We’ve raised the enrollment cap on SUST 201-01 to 25 so that students interested in the minor may enroll in this required course. Both of these courses may count as a Social Science or Philosophy elective, SUST 201 is required for the Sustainability Studies minor, SUST 405 is an elective for the minor, and there are no prerequisites for either of them. If you are a Pratt student and have any questions about these courses, please feel free to contact me at czimring@pratt.edu. This entry was posted in consumption, recycling, students, teaching, waste on July 9, 2013 by Carl Zimring.